The fossil record of early humans from the so-called ‘Cradle of Humankind’ caves in South Africa is biased towards periods of drier climate, suggesting there might be gaps in our understanding of the evolution of early humans, according to an Australian and international study. The caves in which the fossils are found have collapsed over the years, making dating the fossils difficult, so researchers instead dated the stalactites and stalagmites that surround them. The say the caves were likely to be inaccessible when the land was wetter, and the stalactites and stalagmites formed between 3.2 and 1.3 million ago, so their age may point to a gap in the fossil record. Funder: This work was supported by Australian Research Council DECRA DE120102504 (to R.P. ), University of Melbourne McKenzie Post-Doctoral Fellowship 0023249 (to R.P. ), Australian Research Council Future Fellowship FT120100399 (to A.I.R.H.) and Discovery Project DP170100056 (to A.I.R.H. and D.S.S.) and National Science Foundation Grant BCS 0962564 (to A.I.R.H.) . New research published today in Nature from an international research team - including researchers from La Trobe University’s Department of Archaeology and History and the University of Melbourne’s School of Earth Sciences - is the first to provide a comprehensive timeline for early human evolution within the Cradle of Humankind in South Africa. Led by the University of Cape Town, the research also sheds light on the climate conditions of our earliest ancestors in the area. Up until now, the lack of dating methods for Cradle fossils made it difficult for scientists to understand the relationship between East and South Africa hominin species. 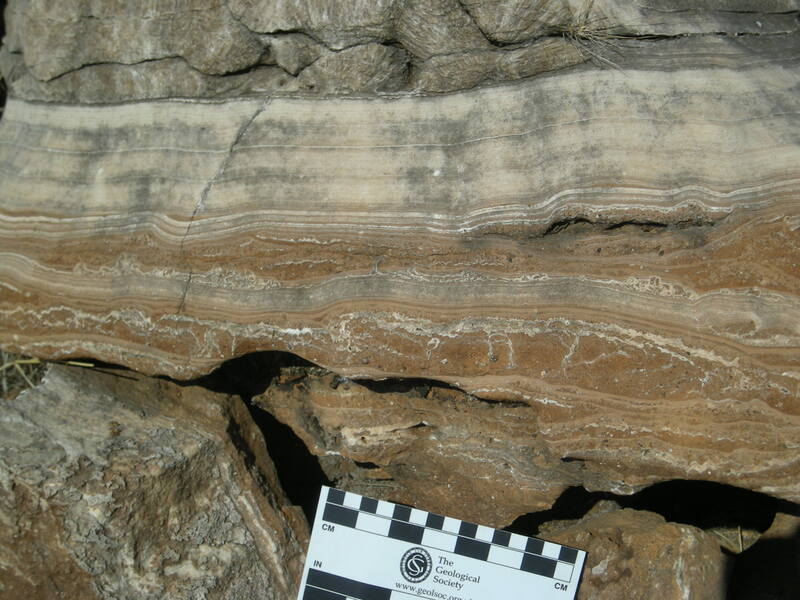 Moreover, the South African record has often been considered undateable compared to East Africa where volcanic ash layers allow for high resolution dating. “In this study we show that the flowstones in the caves can act almost like the volcanic layers of East Africa, forming in different caves at the same time, allowing us to directly relate their sequences and fossils into a regional sequence,” Professor Herries said. Lead researcher from the University of Cape Town, Dr Robyn Pickering, said: “Unlike previous dating work, which often focused on one cave, sometimes even just one chamber of the cave, we are providing direct ages for eight caves and a model to explain the age of all the fossils from the entire region. The Cradle of Humankind is a World Heritage Site made up of complex fossil-bearing caves. It’s the world’s richest early hominin site and home to nearly 40 per cent of all known human ancestor fossils, including the famous Australopithecus africanus skull nicknamed Mrs Ples. Using state-of-the-art uranium-lead dating developed at the University of Melbourne, researchers analysed 28 flowstone layers that were found sandwiched between fossil-rich sediment in eight caves across the Cradle. The results revealed that the fossils in these caves date to six narrow time-windows between 3.2 and 1.3 million years ago. “The flowstones are the key,” Dr Pickering said. This means the early hominins living in the Cradle experienced big changes in local climate, from wetter to drier conditions, at least six times between 3 and 1 million years ago. However, the human fossils are only preserved during the drier periods preserved in the caves, skewing the record of early human evolution. This new paper, funded in part by Dr Pickering’s and Prof. Herries’ ARC DECRA and Future Fellowships, is the result of over a decade of work and brings together a team of 10 scientists from Australia, South Africa and the US. The bulk of the dating analysis was done at the University of Melbourne, which remains a world leader in this type of dating analysis. These results return the Cradle to the forefront and open new opportunities for scientists to answer complex questions about human history in the region. "Robyn and her team have made a major contribution to our understanding of human evolution,” said leading palaeoanthropologist Professor Bernard Wood, of the Center for the Advanced Study of Human Paleobiology at the George Washington University in the USA, who is not an author on the study.